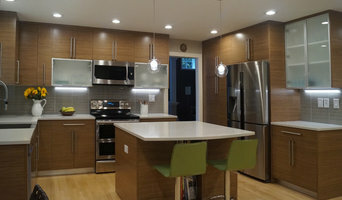 With over 20 years experience in Interior Remodeling and Interior Design, Interactive Remodeling has been designing and improving the quality of many living spaces in the US and Canada. Why you should hire us: Interactive Remodeling with its dedicated and professional team brings decades of experience and high standards to all their projects. Big or small, quality is promised at every level. Here are a few reasons why we are suitable for your renovation and remodeling project: • We have over 20 years of experience in renovations and remodeling • We strive to achieve your vision within your budget • We have eyes for design and passion for excellence • We work with only the best craftsman and tradespeople, overseeing all steps along the way, to ensure that you are totally satisfied with our work. • We have a professional approach to complete a successful project • We are qualified, bonded, licensed, and properly insured (INTERKR878KL) • We are responsible and accountable. • We have a great reputation for quality and professionalism. Feel free to reach out to us, we would love to hear from you! While we specialize in expert window and roof,siding,decks installations, our experience in home and commercial craftsmanship goes far beyond those services. We are an experienced company that does it all! As a reputable company whose reputation is based on cost-effective high-quality performance and products, these are some of our services: Window and roof installations Remodeling decking, siding,fences IGU (Insulated Glass Unit) repair We welcome the opportunity to work with you on any projects that require our expert services. Using the latest state-of-the-art equipment and tools, we will complete your projects 35% faster than our competition that is also more cost effective. ArtXchange Gallery is unique globally oriented art gallery in Pioneer Square, Seattle. We represent local and international artists whose work celebrates the diversity of modern culture and the Seattle community. In addition to rotating exhibitions in our Pioneer Square gallery, we hold collections of Australian Aboriginal paintings, contemporary lacquer from Vietnam and artistan made custom lighting by HiiH Lights and Elaine Hanowell (known for her stunning fish lamps at the Dahlia Lounge). 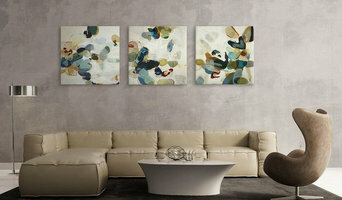 Many gallery artists work on commission and can create the perfect accents for your home. Gallery staff are on hand to help you select artwork, mockup your ideas, and tailor your experience to your unique needs. We enthusiastically work with the design and interior trade on residential, corporate, healthcare and restaurant projects. A house becomes a home with your personal touch. And one way of personalizing your space is by displaying your photographs. I am a maternity, newborn and family photographer serving the Greater Seattle Area. The range of photographic products I offer is unique: yours photos become pieces of art when they are printed on wood, acrylic, metal or canvas, and/or displayed as 3-D art installations. We do everything from custom furniture to full home renovations and specialize in custom work that exceeds our clients expectations. We pride ourselves on taking on any project and if you can dream it we can build it. When you call Vic Steiner Carpentry, you will be talking to the carpenter himself, Vic Steiner. With 35 years of experience in the construction field and 16 in the business, I can handle all of your remodeling and repair needs. Do you have “handyman” jobs? Call me and let's see if I can help. “I build one job at a time.” That means you can expect the contractor on the job every day from start to finish. Also, “misunderstandings” in communication are eliminated because the salesman did not relay all of the information to the carpenter. “From concept or plans to completion” Have an idea about how you want your project to look but don’t know where to start? I can give you the information you need for you to decide how to build your dream. “Elegant or Practical” Vic Steiner will work with you to decide how “complete” your project should be. Thinking of selling your home in the future? That may affect your decision on how much you should do. Planning to stay in your house? That may affect your decision also. Whatever the project, you can rely on straightforward, unbiased information. We are a company that specializes in install the of all kinds of trim and cabinet styles. 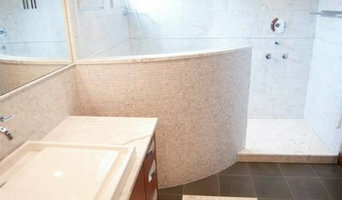 We also build custom closets and built-ins. Custom decks and roof covers along with fences is one of our big specialties as well. 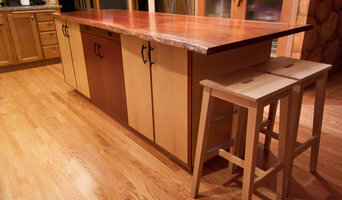 Del-J Carpentry is owned and operated by a Fifth generation carpenter/craftsmen who is well versed in all aspects of the trade as well as knowledge of all the systems that go into and without the envelope of a house/building.